As you know, since I read Marie Kondo’s book: The Life-Changing Magic of Tidying Up: The Japanese Art of Decluttering and Organizing (my review here), I have been busy clearing out and cleaning up our home. Ironically, once I removed a lot of the random piles of kids’ artwork and sports equipment from our foyer, it looks rather bare. 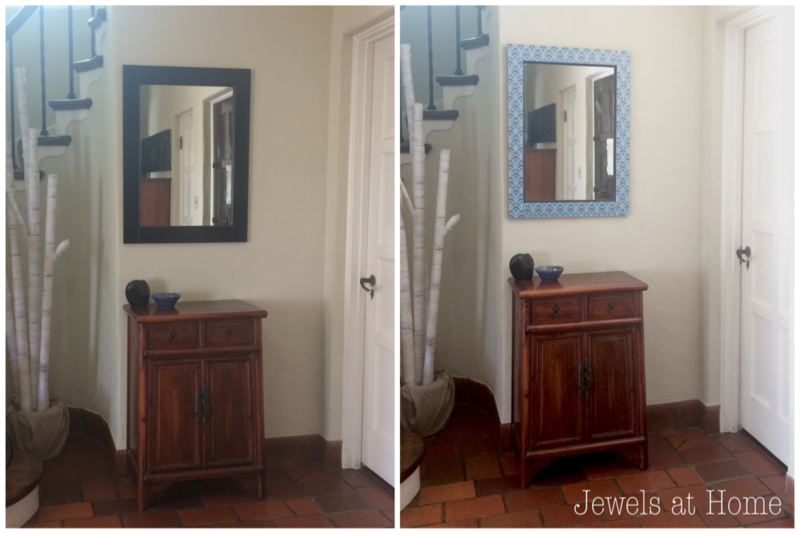 This space definitely needs a brighter and more colorful feel, and I decided to start by adding some pretty paper to our foyer mirror. 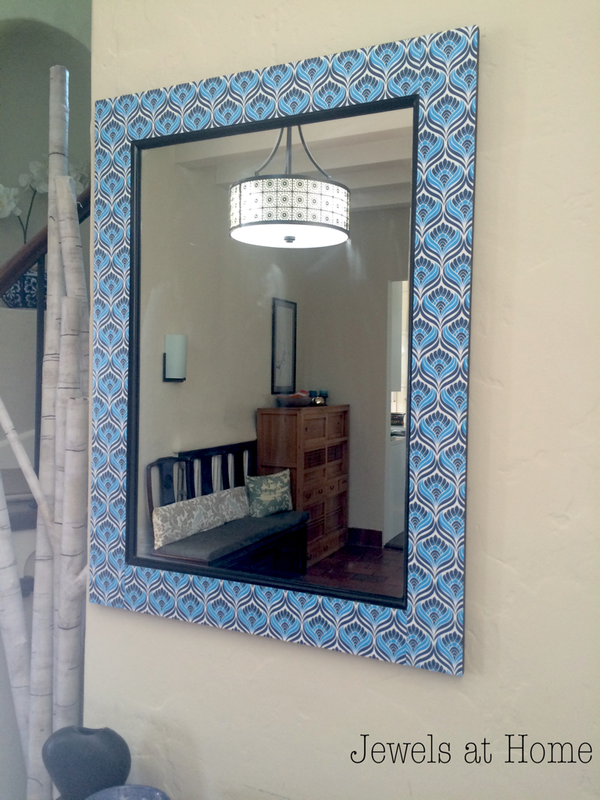 I originally had a plain mirror there, one that actually came with a bathroom vanity I ordered for our guest room. 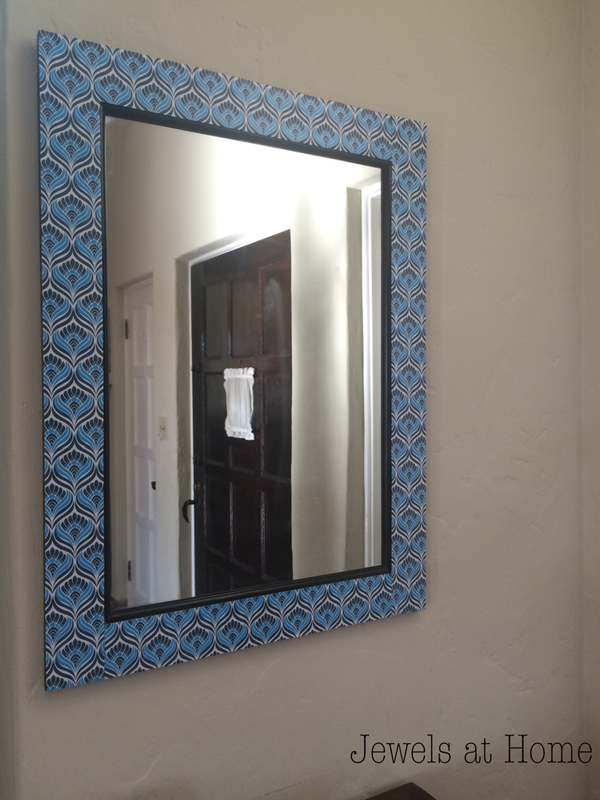 It was very simple and the perfect blank slate for something decorative. I had bought this pretty blue paper from Paper Source a while ago, and it has been waiting for a project! I used to use Mod Podge for decoupage, but I recently bought a tub of Yes All-Purpose Stik Flat Glue to try, and it has been working well, without the odor of Mod Podge. 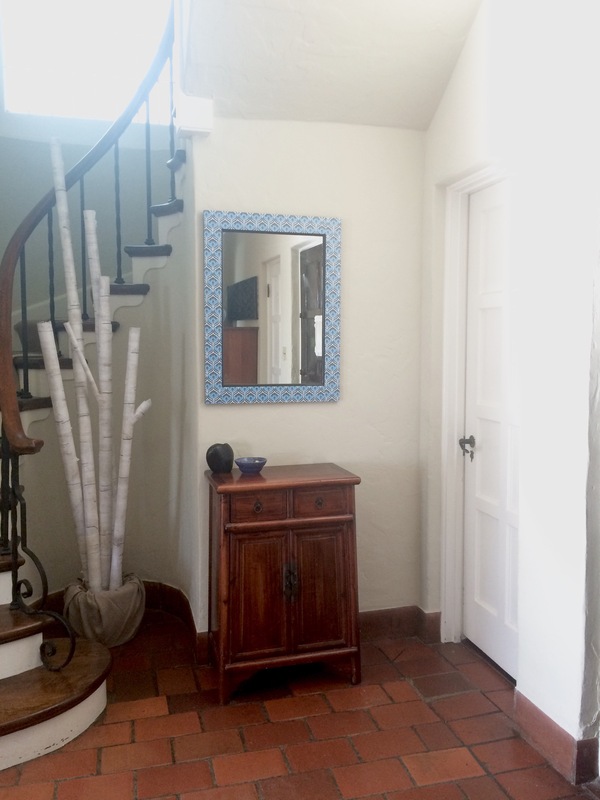 Here’s how this splash of color and pattern looks in our foyer. It reminds me of the the pretty patterns from Serena and Lily. I think the next addition will be some more accessories and a rug. Hope to show those to you soon! Looks great! I like the color pop! Thanks, Janice! Now, I’m inspired to work on the rest of the room!